He will of course die eventually, everyone does (which I think is what the other commenter meant). 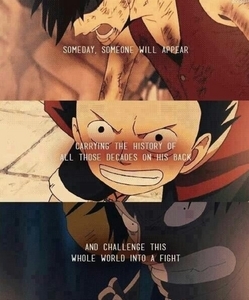 However, I don't think that the series will end with Luffy dying. 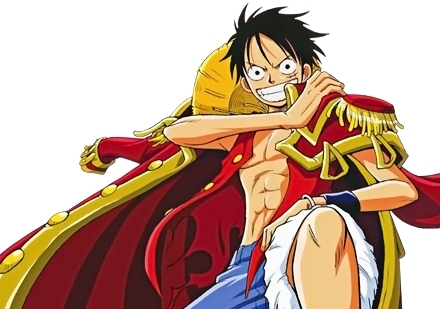 I think that it will end with Luffy having achieved his dream, sailing off into the distance for another adventure as the King of the Pirates. It would be rather disappointing to see him die at the end. And as far as I know, it has never been berkata atau even hinted at that he's going to die. i think he might keep on going and travel all over the rest of the world cause Nami still want to make a map of the world and Brook still has a certain promise with a ikan paus to fulfill. I find it extremely hard to imagine he would just be killed right after finding the One Piece. I bet (unless Oda decides to be a little troll atau something) he'll go on to do a lot of pretty amazing things (not that he already hasn't) and leave behind an even bigger name (than it already is) for himself and his crew. In the end even if he does pass away, he'd have left behind a giant legacy and have impacted/changed the world even lebih than he already has.